Committing to Champagne December took some planning. It’s Day 8, and I can boast the dubious achievement of having enjoyed champagne each night so far. 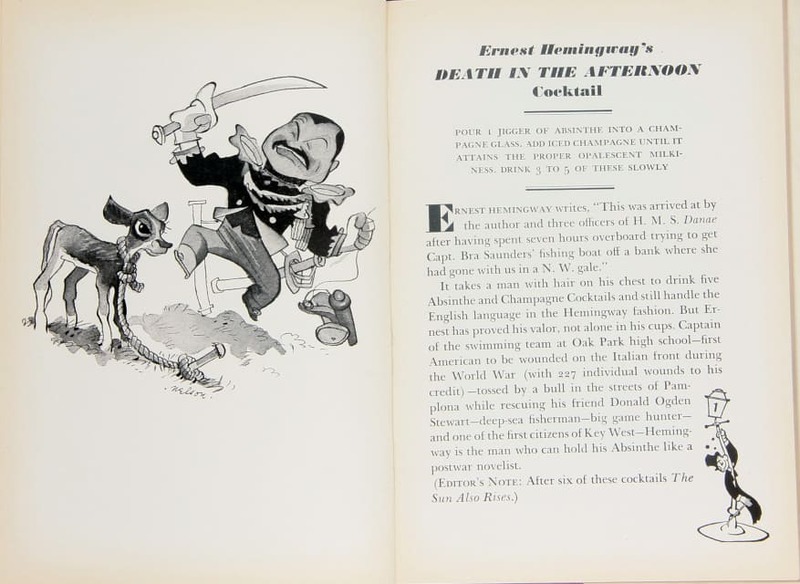 While having champagne every night is not necessary, arranging any kind of champagne campaign, occasional or frequent, still requires logistics. What’s your budget? Will you enjoy a bottle with friends, or savor a glass or two per evening? How do you save champagne from going flat? 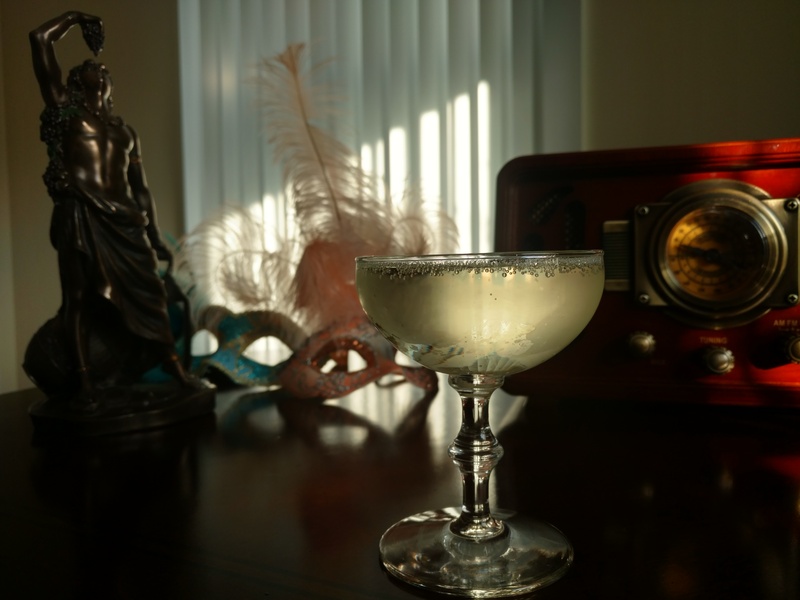 What defines the term champagne, anyway? 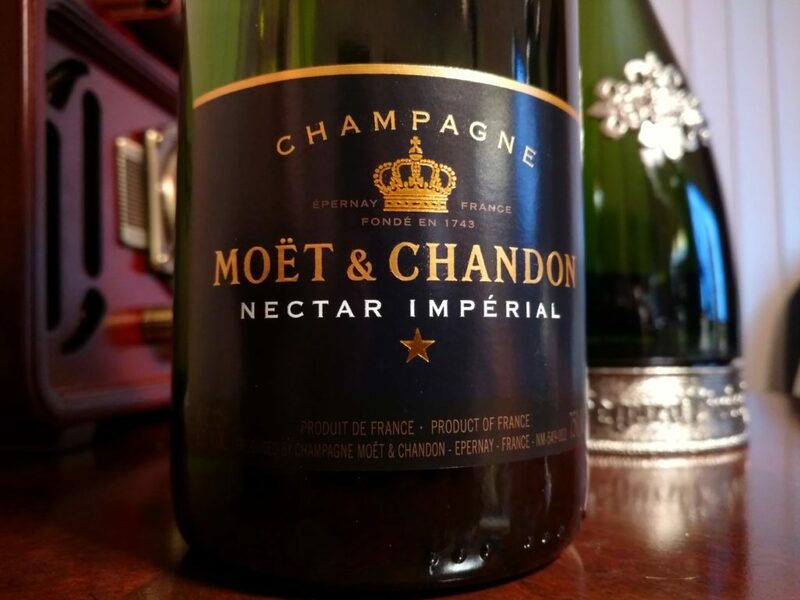 For a bottle of sparkling wine to be labeled Champagne, it has to be made in Champagne, France and produced using the méthode champenoise. 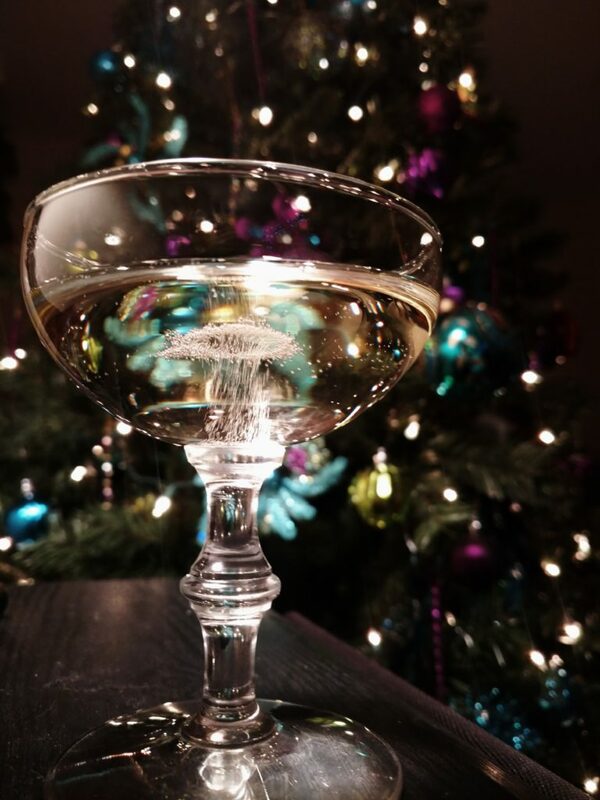 Champagne is subject to a protected designation of origin, similar to the protection for Italian olive oil and wines. 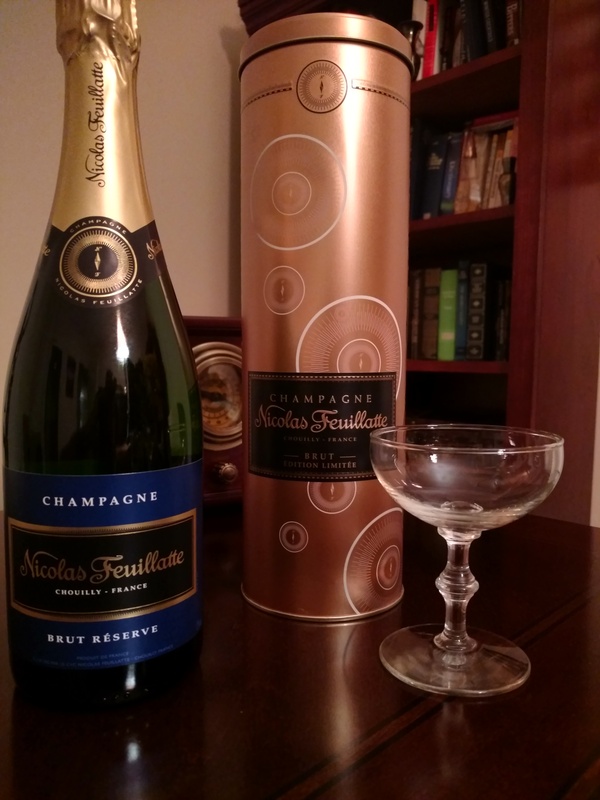 Still, if you’ve been of drinking age for a decade or so, you’ve probably seen champagne bandied about in quite a few ways on bottles that were distinctly not French. Champagne from the French region of Champagne will be clearly labelled. Champagne is rather strictly regulated internationally, and over the last century, there’s been a lot of legal back-and-forth. I recommend the full VinePair article for a detailed account of this label war, but to summarize: a few non-French labels have been reluctantly granted permission to use terms such as California Champagne on their labels. The most recognizable of these brands are Korbel, André, and Cook’s. These brands have become some of the most popular, affordable go-to grabs for Americans on special occasions, namely New Year’s Eve. 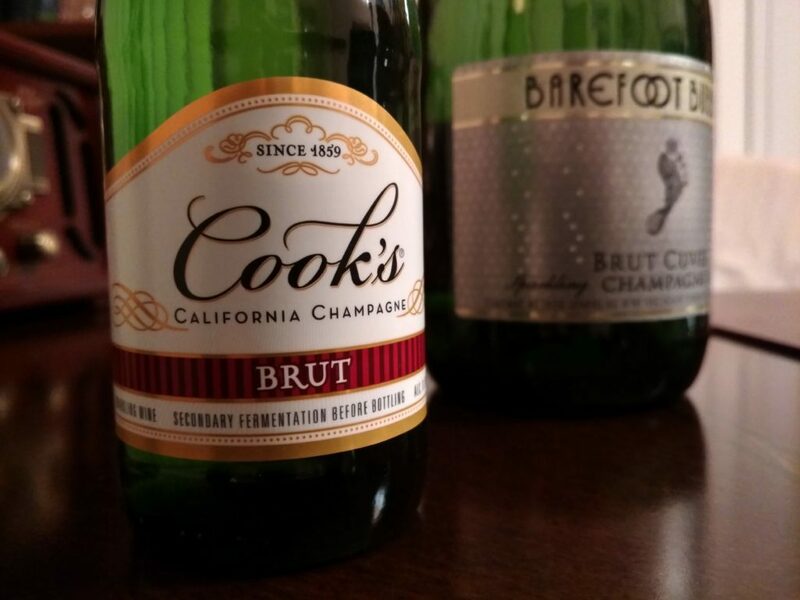 Common examples of California Champagne. 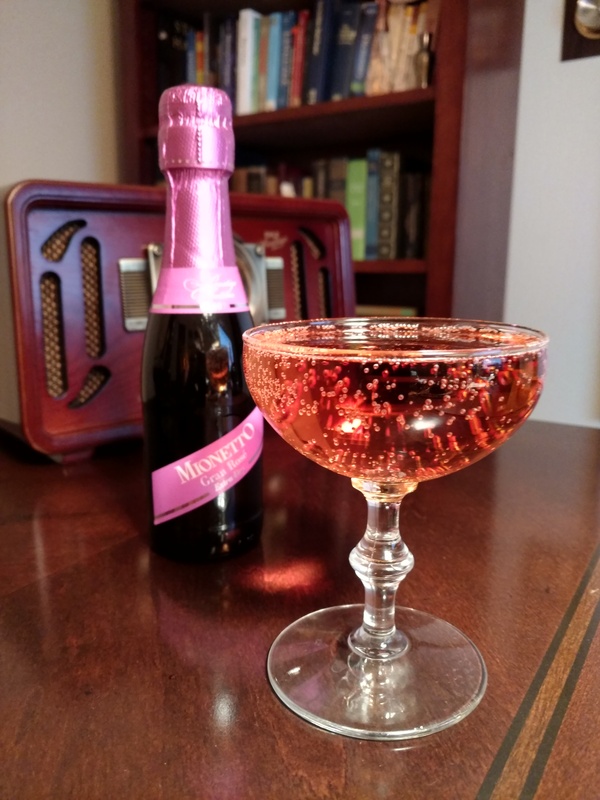 Especially in North America, the term champagne has become ubiquitous with sparkling white wine, and this is not as great a travesty as some would have you believe. 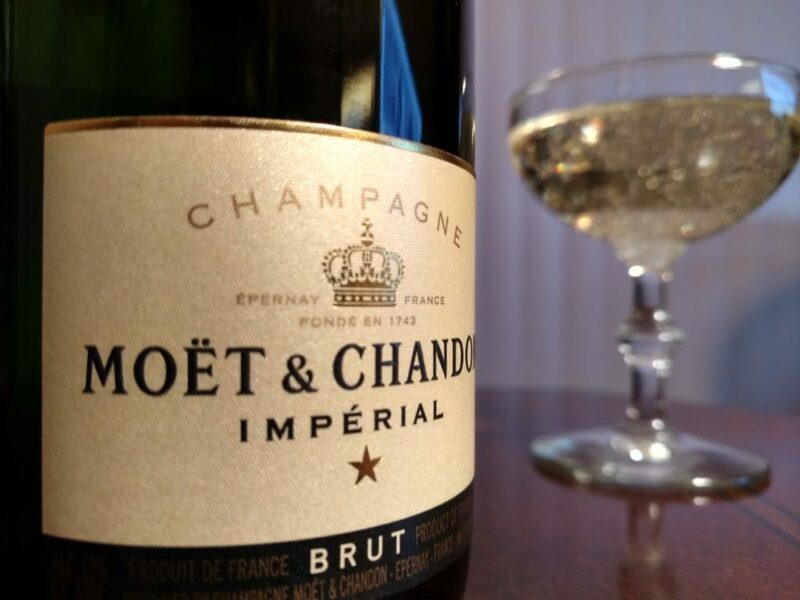 In a blind taste test, many would fail to discern champagne from a similarly produced sparkling white from another country, or even another French region. The shelves abound with great contenders as well, some of which will be sure to point out that they follow either the méthode champenoise or méthode traditionelle of fermentation and production as true champagne would. Close sparkling relatives such as asti spumante and prosecco spumante hold Italian protected designations of their own, and occupy the same shelf as champagne in many stores. How closely you define it depends on your familiarity with champagne, your passion or indifference as a purist, and most importantly, your wallet. Cruising through several liquor stores, I was unable to find a bottle of French champagne under $35, while most hovered near $60 or higher. Depending on your budget and your value perception, this might be an acceptable price range for a special occasion, but a terrible idea for Champagne December or other off-the-cuff indulgences. If your budget is wide open, the sky is the limit. Follow the path your curiosity takes you on all levels of champagne and related sparkling wine. Remember, other French sparkling wines, top-shelf Italian sparkling, California champagne and many Napa Valley bubblies are produced by many respected vineyards and brands. If you don’t have the budget now, or prefer to build up a quality collection incrementally, there are some great ways to do so, and even champagne-of-the-month clubs, if you’d prefer a more seasoned professional to introduce you to different varieties. 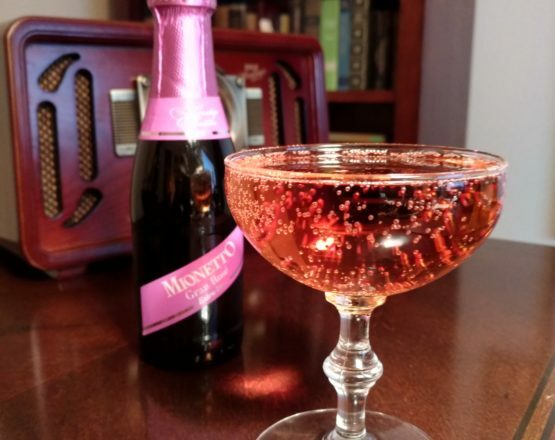 For low to mid-range adventures, it may be best to stick to the more loosely defined sparkling wine category, which prominently features California champagnes, asti, prosecco, and other sparkling delights. 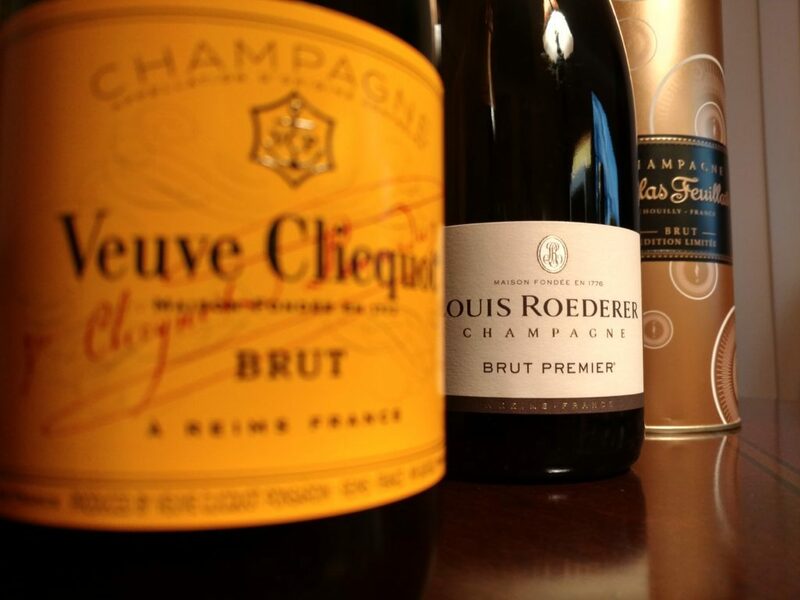 Investments in high-end French champagne can be occasional splurges, which can help sensitize your sparkling palate. The advantage to this is flexibility, and most importantly, an abundance of size options. 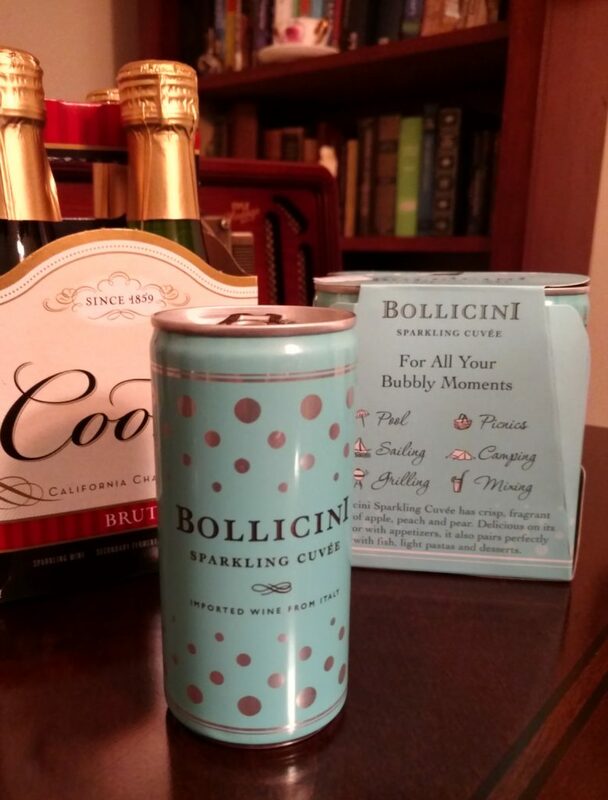 The single-serve market has really picked up for bubbly, especially in the low to mid-range. 187 ml bottles and even cans are available for many low to mid-range sparkling varieties. 375 ml options also abound. While you can find 375 ml bottles of Moët, I wouldn’t put much faith in this option for the high end of the market. So how do you enjoy your champagne if you’re a solo drinker, or quite sensibly not willing to polish off a full bottle at a time? 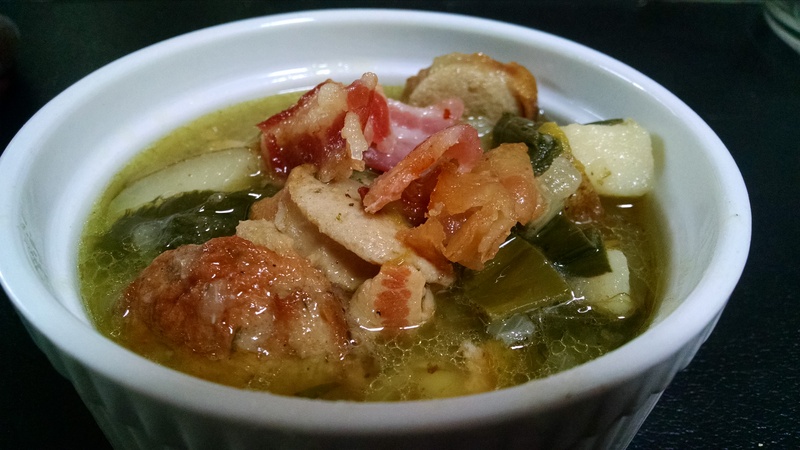 Dublin Coddle – a nourishing stew of sausage, potatoes, and bacon to warm you up. I was looking for a new dish to try this St. Patrick’s Day, having thoroughly exhausted my usual corned beef hash in years past. Flipping through The Irish Pub, a relatively lightweight cookbook I found during the Borders bookstore liquidation, I came upon a recipe for Dublin Coddle, which sounded perfect for my cold, snowy St. Patrick’s day. Looking at the simple ingredients, I was expecting to have to doctor this recipe up, but I was surprised at the delicious flavor. The heavy seasoning of black pepper during assembly really contributes to the personality of this dish. 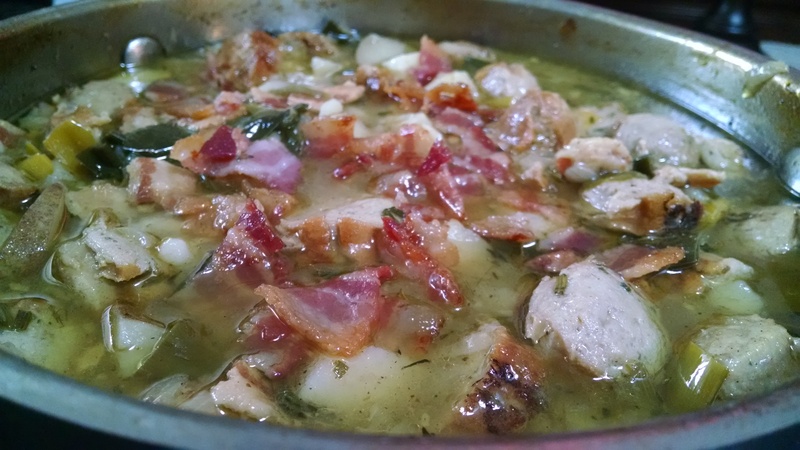 The stew is essentially just sliced sausage, bacon, leeks, potatoes, and onions, with herbs and garlic tossed in for good measure. These are all layered in an oven-ready casserole dish after browning the onions and sausage and roasting the bacon, covered with chicken stock or water, and braised. I strongly suggest chicken stock, as even though the ingredients will impart wonderful flavor, the boost of a good, gently seasoned stock will do wonders. Good quality pork sausages, bratwurst-sized (and style). I used bockwurst. Brown your sausages on both sides in a pan. Allow to cool, slice width-wise into roughly 1-inch pieces, and set aside. Preheat your oven to 350 degrees and roast your bacon until cooked. Set aside bacon fat for later, do not discard. Allow bacon to cool, and dice into 1/4-inch pieces. Set aside. Dice your onions. On the stovetop, saute the onions in some of your saved bacon fat until tender. Line the bottom of the casserole dish with the sauteed onions. Season with black pepper. Add up to a third or half of your chopped bacon in a new layer. Save the rest as a garnish for the end. Add the sliced sausages as the next layer in the casserole dish. Season with black pepper as well. Add the coarsely-chopped leek green tops, the diced garlic, and finely chopped herbs as the next layer. For the final layer, cover with a layer of roughly-chopped starchy potatoes. Season with black pepper. Pour enough chicken stock to cover all ingredients. Braise uncovered at 350 degrees for 20 minutes, then reduce oven heat to 250 degrees, cover casserole and braise until the potatoes are tender and have thickened the stew with their starch. Remove from oven, stir well, salt to taste, and cover the stew with a garnish of the remaining chopped bacon. My pot of Dublin Coddle, ready for a cold day. 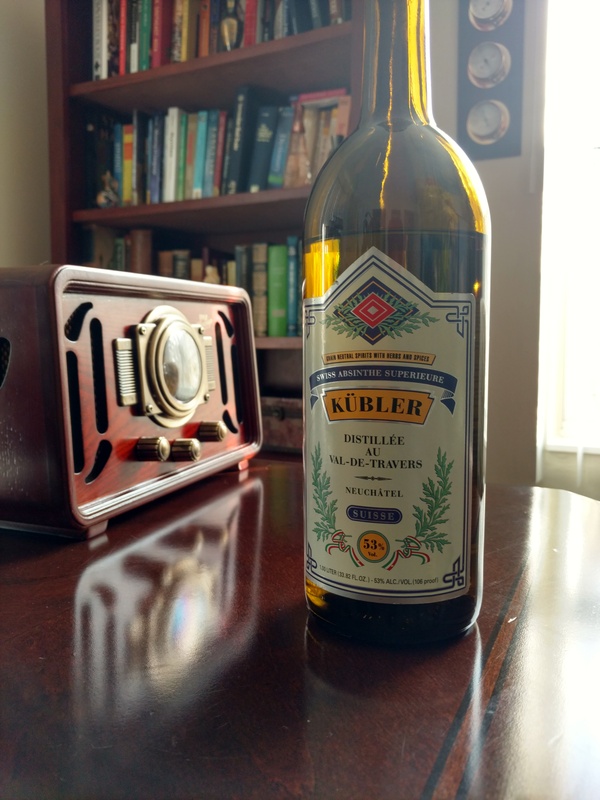 The requisite amount of time was spent suspiciously eyeing this gin on the shelf and examining its contents under strong lights to determine that indeed, this gin is blue. Fear not, this isn’t merely a marketing ploy involving Blue Lake #1. 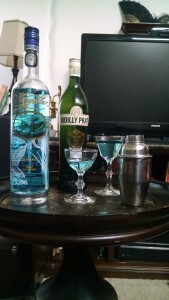 Magellan Gin is perhaps the world’s only naturally colored blue gin, owing its exotic hue to the iris flowers that grace its bottle. These flowers are steeped in the gin, contributing both a vivid blue and a distinct floral note to its flavor. Subtle notes of spice are also pleasing to the palate. Well enough, but how does it stack up in a dry martini? 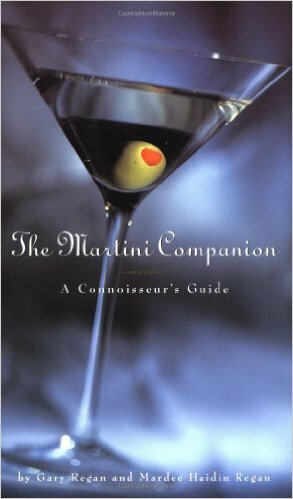 Although at least one other reviewer doesn’t recommend Magellan for a decent martini, I find that this gin holds its own well, as long as it isn’t forced to compete with the higher vermouth ratio in a vintage gin recipe. 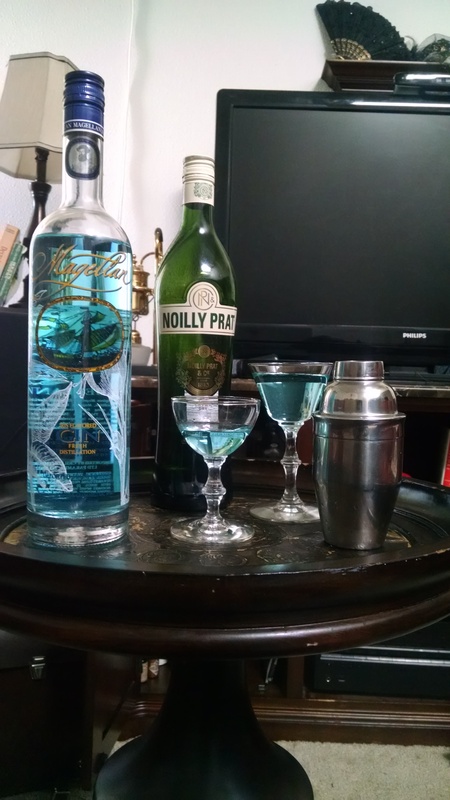 Magellan Gin benefits from a more modern, austere gin to vermouth ratio, anywhere from 5:1, 8:1, or even the fairy-touch spritz of vermouth that I would normally spurn. 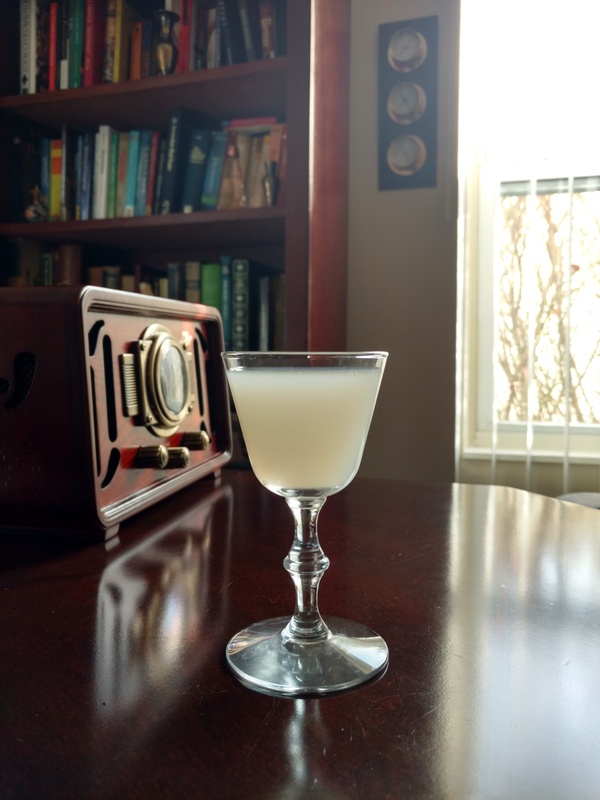 Like a delicate hothouse bloom, Magellan Gin is best appreciated in the most spartan recipe possible, but might also provide intriguing notes in complex cocktails with bitters. If you’re simply searching for a better blue martini recipe than those involving blue curacao and sugary additions, this gin will fit the bill while cutting the fluff. Its deep color, barely diluting in the most generous recipes, will certainly draw some attention as a conversation piece. As a sipping gin on its own, its light floral and spice notes will engage the tongue without overwhelming, leaving your mind free to wander while pondering its blue depths.